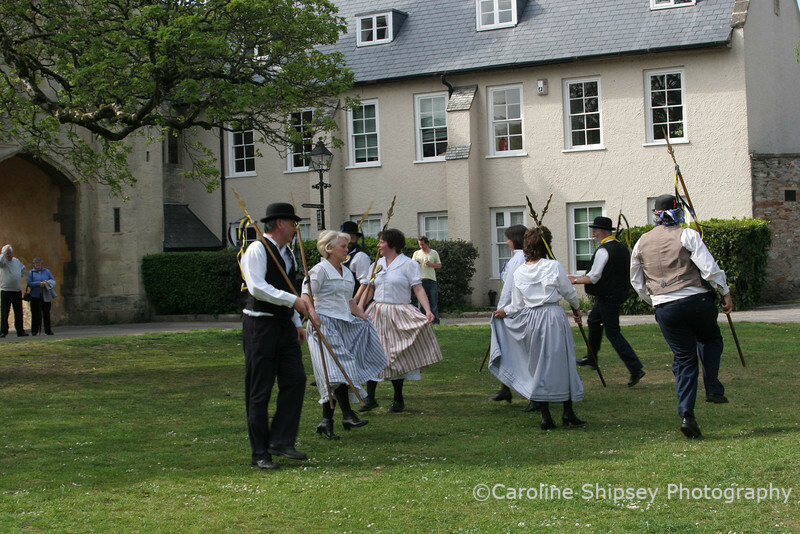 Mendip Stave Dancers formed to maintain the dance tradition formerly performed by Dorset Knobs and Knockers. Stave dancing has its origins in the Friendly Societies of the South-West of England, in Somerset, Dorset, Devon, Wiltshire and Gloucestershire. These forerunners of the Trade Unions held an annual Feast Day, which was the climax of the Society's year, and people came from miles around to join in the celebrations. The day began with a roll call of the society, after which an orderly procession formed behind the band. A march to the church for a service was followed by a feast at the club house. Later on the public joined in with music and dancing.